started: 10/23/08finished: 10/30/08Follow up to Katie's Will. I just love the characters, but it was difficult to figure out who the villain was...ended up not being the person I thought it was. Interesting read and very quick. I think you would certainly be lost if you hadn't read Katie's Will first. Follow up to Katie's Will. 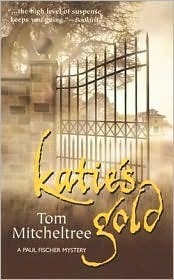 Not as good as the first book but it does provide some closure to a few issues raised in Katie's Will. Other than that, this book was more formulaic and the villain seemed to come out of nowhere pretty much for the sole purpose of giving the characters something else to do - but I must admit, it was hard to care.